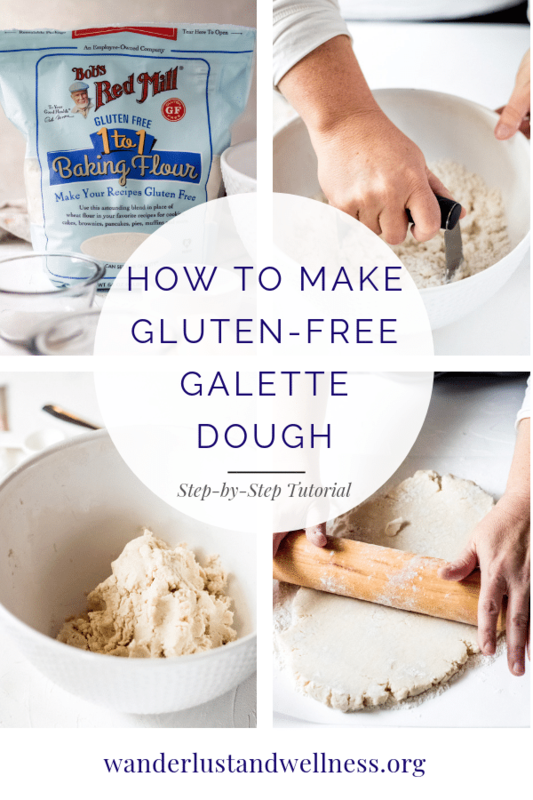 Gluten-free baking doesn’t have to be hard – which is why I wanted to share this step-by-step gluten-free galette dough recipe. 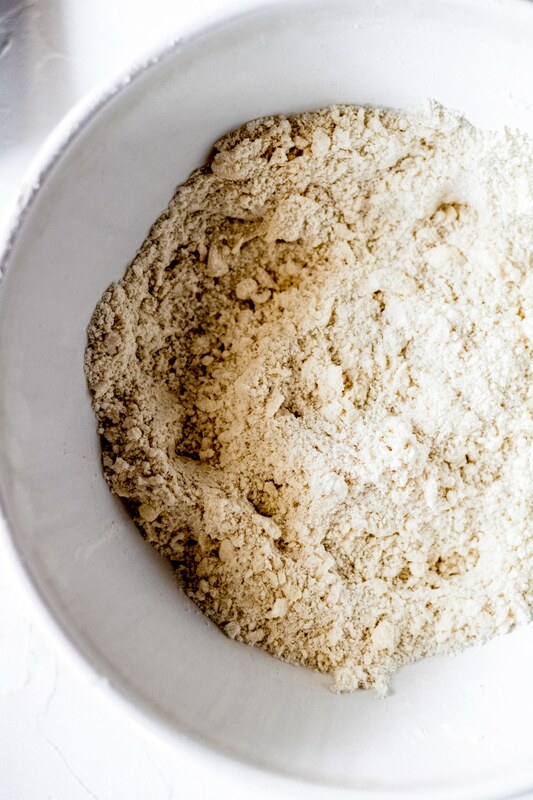 This is the dough I use with all of my gluten-free galette recipes. 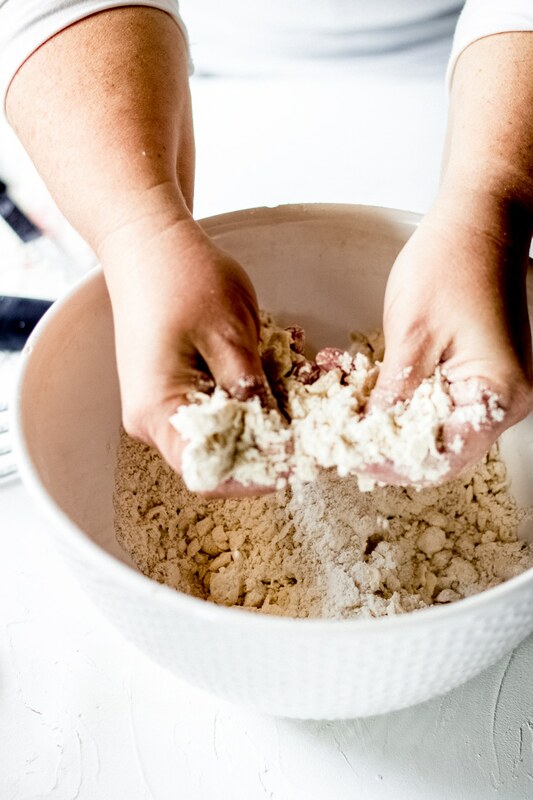 I’ll walk you through the entire process for making your own gluten-free galette dough right at home, with no complicated ingredients or steps. 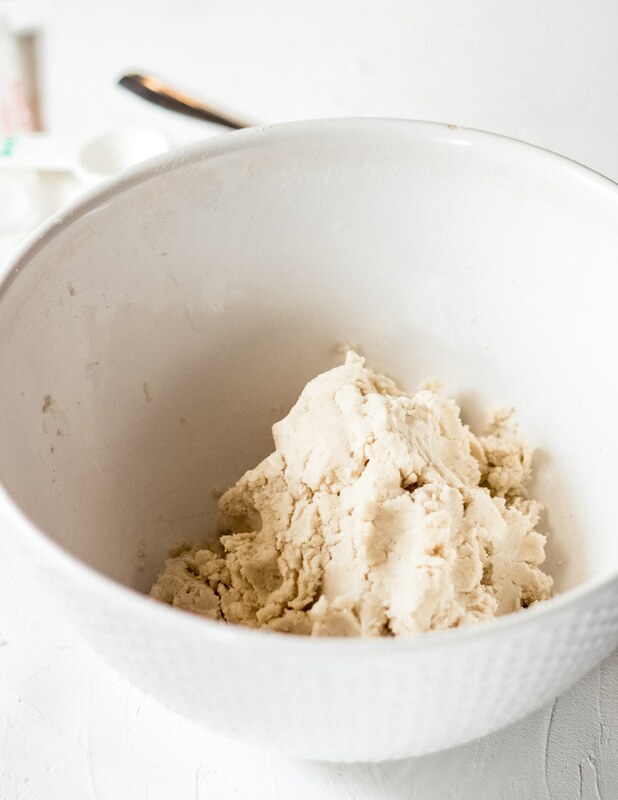 I’ll also share one of my favorite 1 to 1 baking flours that I find makes gluten-free baking a breeze. 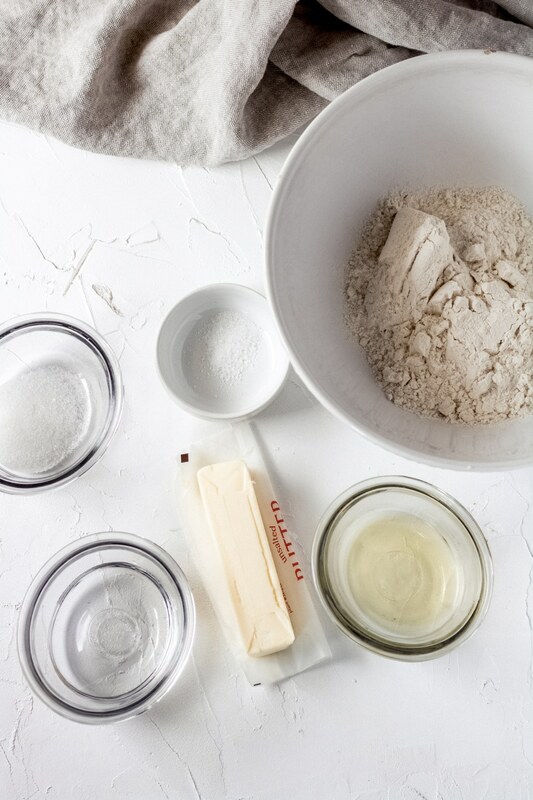 Having a simple 1 to 1 swap when baking makes the entire gluten-free baking process a breeze! 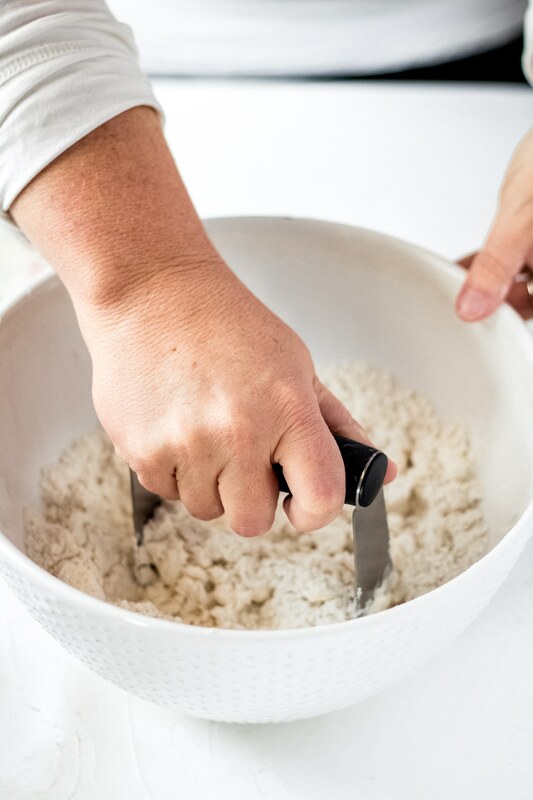 One of the most daunting tasks associated with gluten-free living is gluten-free baking – however, I’m here to show you it doesn’t have to be hard or complicated. There are so many great 1 to 1 flour mixes now available that gluten-free baking can essentially be a breeze. And the perfect gluten-free baked dessert to start with is a gluten-free galette! Why? 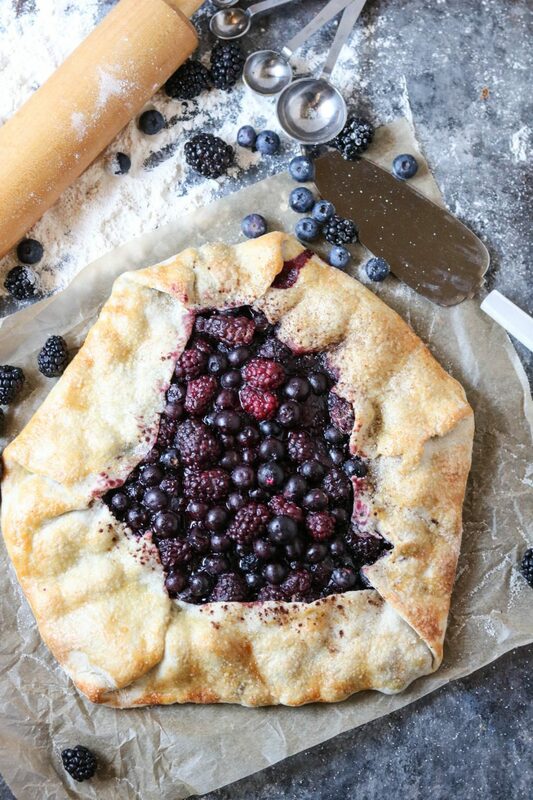 Because galettes get to be rustic and not perfect – so if creating that perfect pie crust is overwhelming – a galette is here to the rescue. Combine the dry ingredients, then add the cold butter. 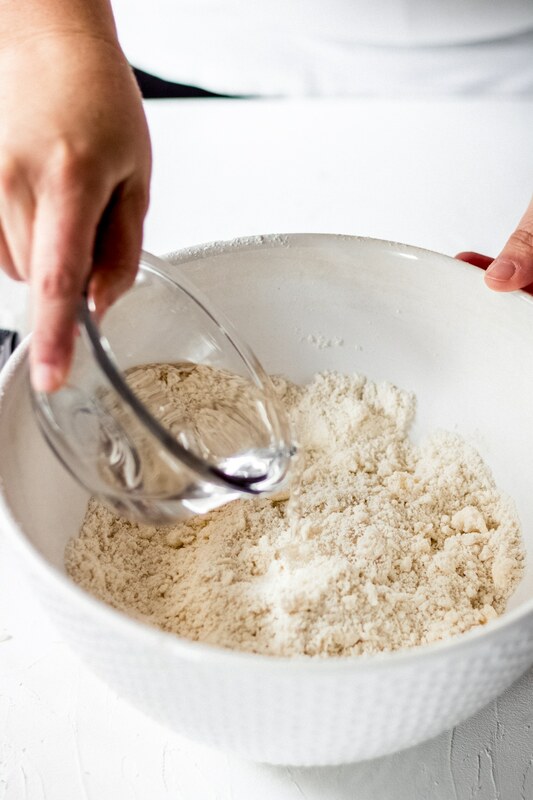 Add the flour, sugar, and salt to a large mixing bowl. Then cut the cold butter into small chunks and add to the bowl. Finish cutting with your hands, if necessary. 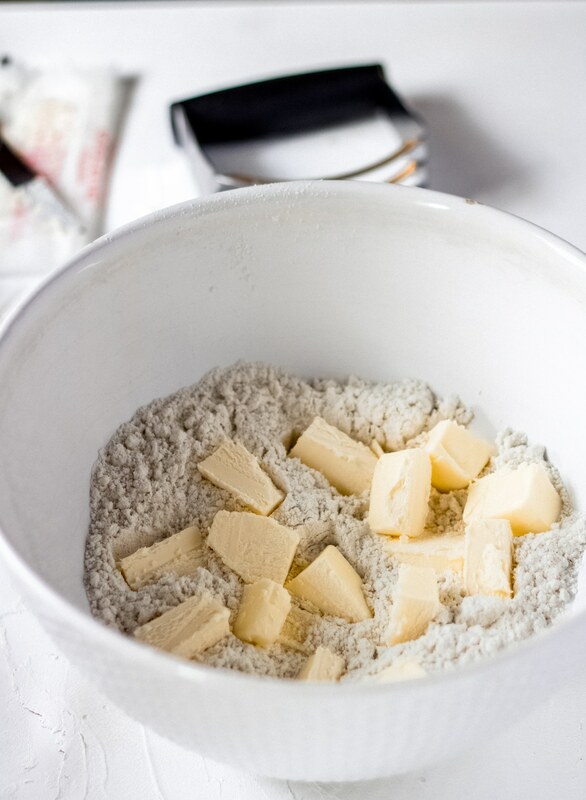 Sometimes I can’t quite get the mixture as coarse as I’d like so I will use my hands and gently finish the cutting in of the butter – just don’t overwork the flour mixture. This mixture should look similar to this. Add the cold water to the flour mixture and mix with a fork. Add in the cold water to the flour mixture and begin to mix with a fork. Add in additional cold water as needed, 1 Tbsp. at a time, until the mixture comes together well into dough form. 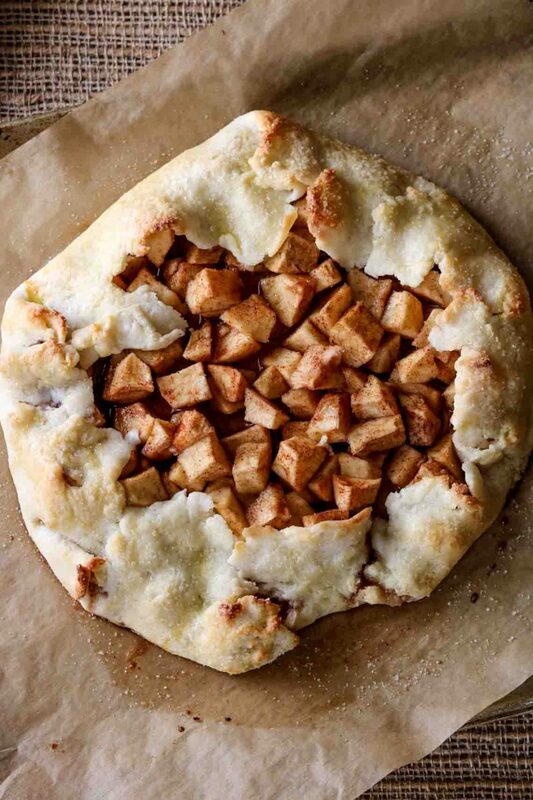 Your dough should look similar to this. Follow further baking steps per specific gluten-free galette recipe. 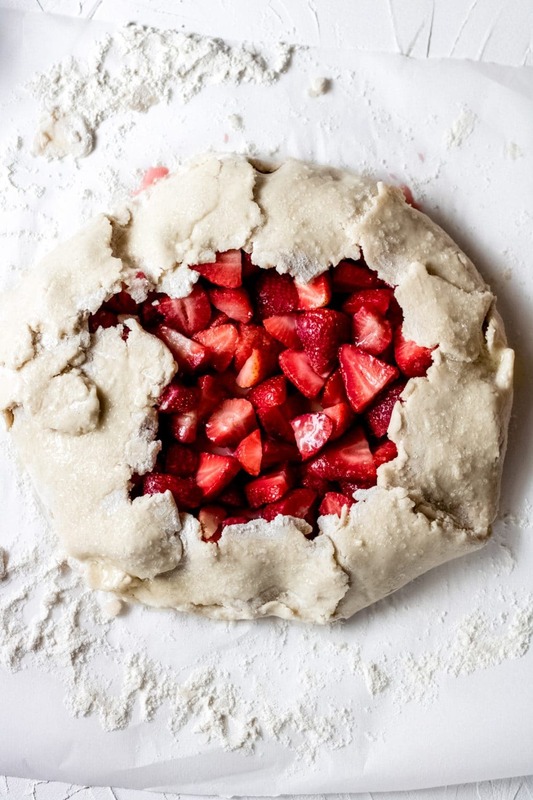 Can I make a gluten-free galette dough ahead of time? A galette and crostata are essentially one and the same (one from France, one from Italy). They are both free-form, rustic desserts made with rough-edged dough that is folded up around the filling. Enjoy these other gluten-free desserts! Easy, homemade gluten-free galette dough recipe made with 1 to 1 gluten-free baking flour. In a large mixing bowl, add the flour, sugar, and salt. Cut the butter into small chunks and add to the bowl. Add the cold water and begin to mix together with a fork. Add additional cold water 1 Tbsp. at a time if needed until the dough comes together well. 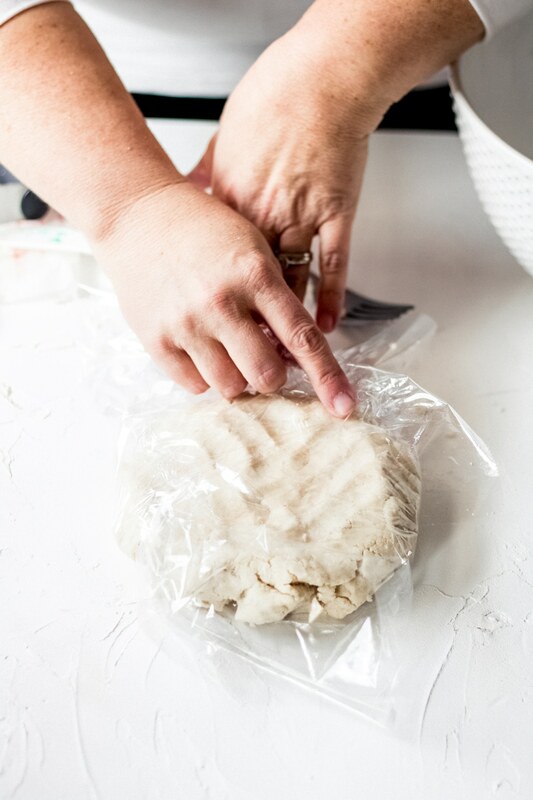 Press the dough into a ball or disc, wrap in plastic wrap, and refrigerate for up to 3 days or freeze for 2-3 weeks. If not using immediately – remove dough from refrigerator or freezer and let warm at room temperature before rolling. There are several 1 to 1 gluten-free baking flour mixes available. 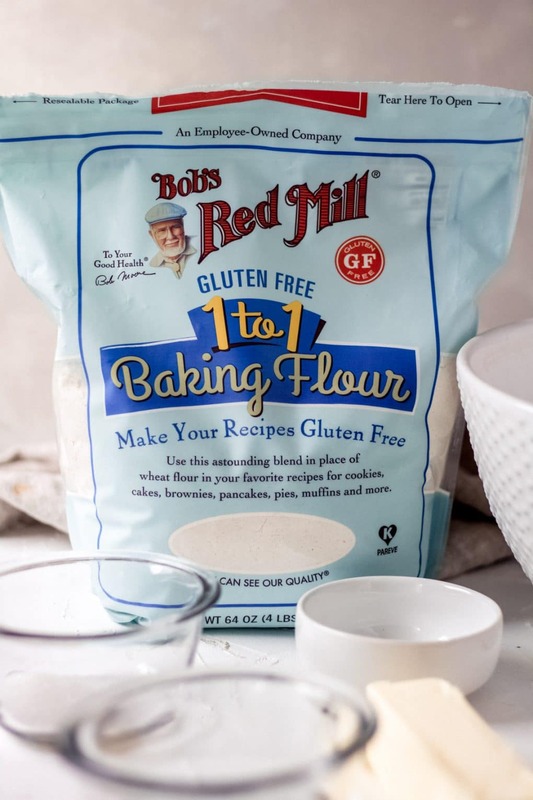 I have tested and approve of Bob’s Red Mill 1 to 1 flour and Cup 4 Cup Gluten free flour.